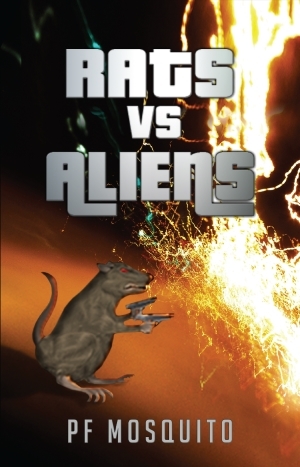 Pathfinder squad leader PF Mosquito has penned and published a book called Rats vs. Aliens! Fund the screen play! A mysterious new enemy compels the world to unite in common cause. With thermonuclear war threatening the entire planet, the greatest military powers on earth turn to an elite band of warriors with a special set of skills. To everyone’s surprise, and delight, the fate of the globe rests in the hands of a motley crew of… computer gamers. In “Rats vs Aliens,” a world war two simulation game becomes the unlikely battleground where humanity’s freedom will be won or lost. This game actually exists. It’s called “World War II Online” and even as you read this, the fate of Europe hangs in the balance. And maybe the earth’s, fate, too! If you’ve read the book, you discovered that the book is meant as an opening salvo in pursuit of a much larger agenda. The ultimate purpose is to promote and support the game we love, by introducing it to an even wider audience. If you would like to help bring this purpose about, please email Mosquito at mosquito@warpath.us and share what you would like to bring to the table. Promoting the book is a good way to support this project, as book sales will be applied towards making the project come to fruition and more readers = more potential supporters of the project, and the game itself. 100+ copies? Contact Mosquito at mosquito@warpath.us for a quote.